Be a unicorn in a field of horses! The magical allure of the unicorn is basically irresistible so you may as well join them. With this simple DIY project, you can be just that! 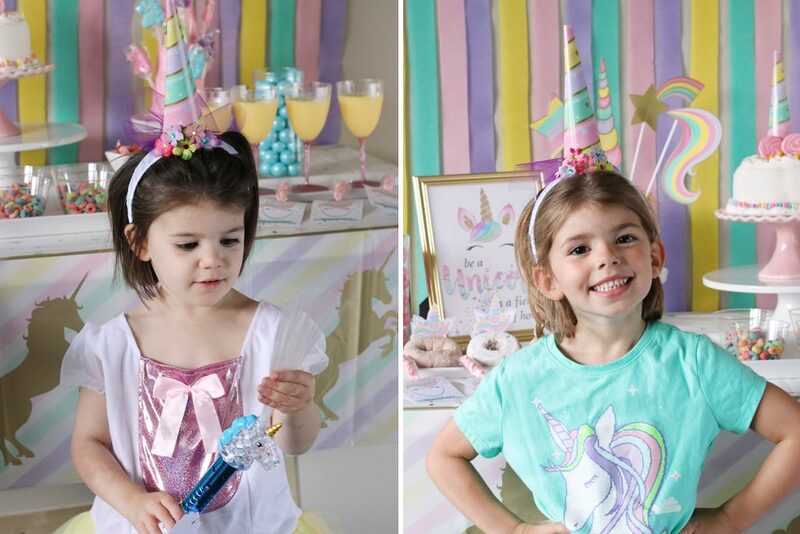 All it takes a few supplies and you can transform a room full of party guests into a dozen of Unicorns! Maybe you need to complete that last minute costume or just want to make your day a bit more magical. 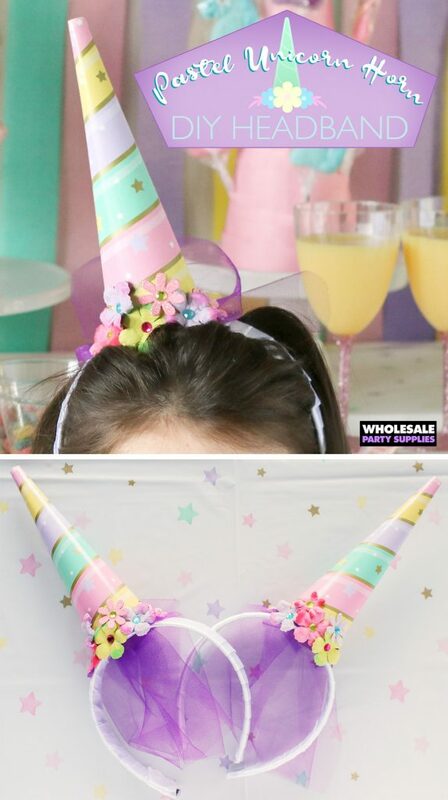 With this easy how-to you can create your own unicorn horn headband in no time so you can whinny your way through life as a truly fantastic beast. Note: hot glue is required to secure these fast and easily so adult assistance is needed if this is a party activity for kids! 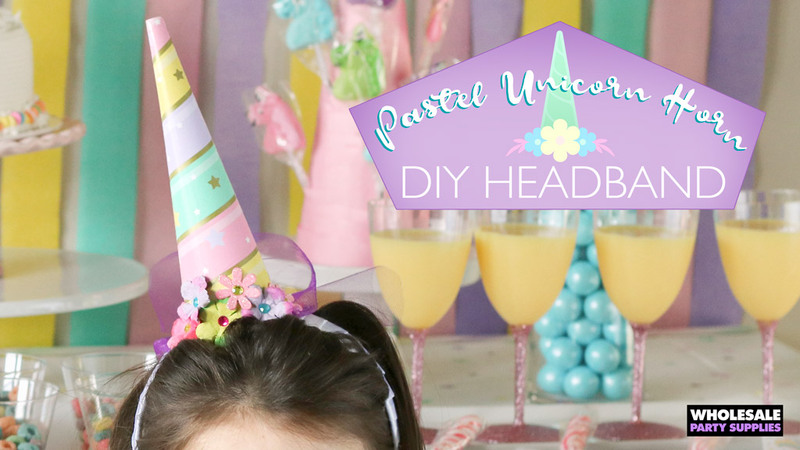 If you plan to do this as an activity before the party starts, and you couldn’t find pastel colored headbands, go ahead and first prep the headbands by wrapping them in satin ribbon. Use hot glue to secure. 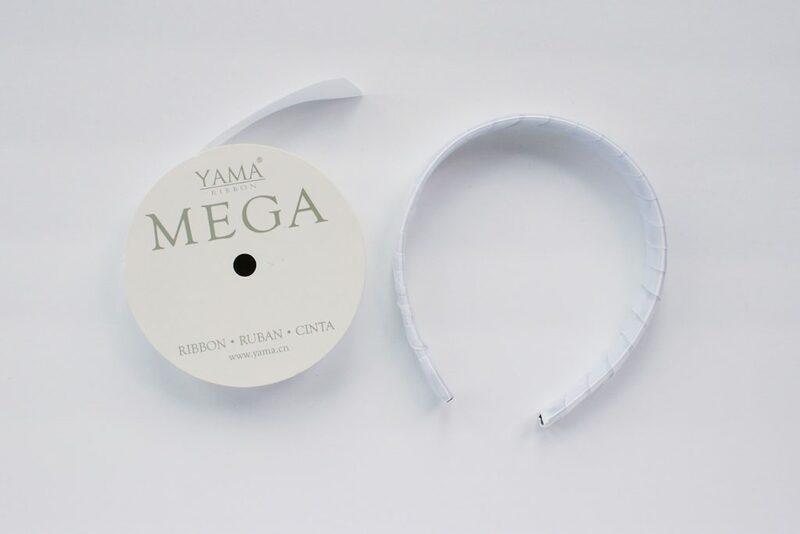 Next cut a piece of tulle and glue onto the top of the headband. This will hang over the back of their head. 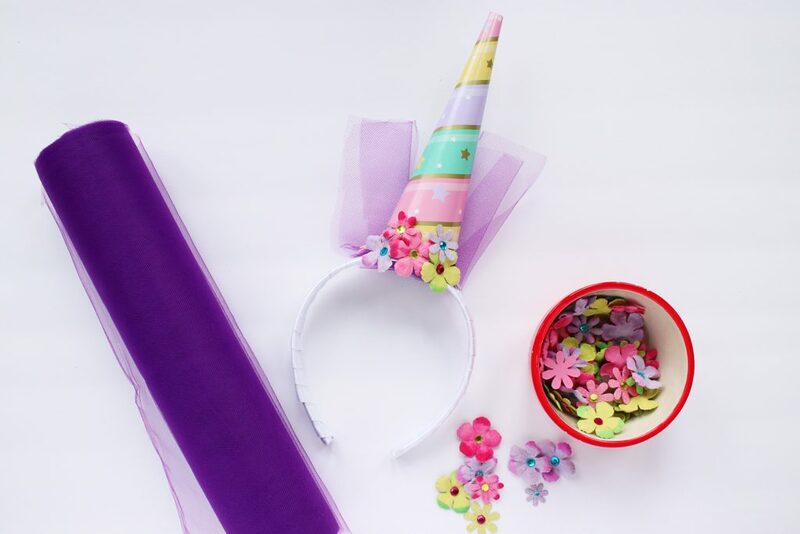 Glue the horn party hat right on top then cover the front with their floral decorations of choice. 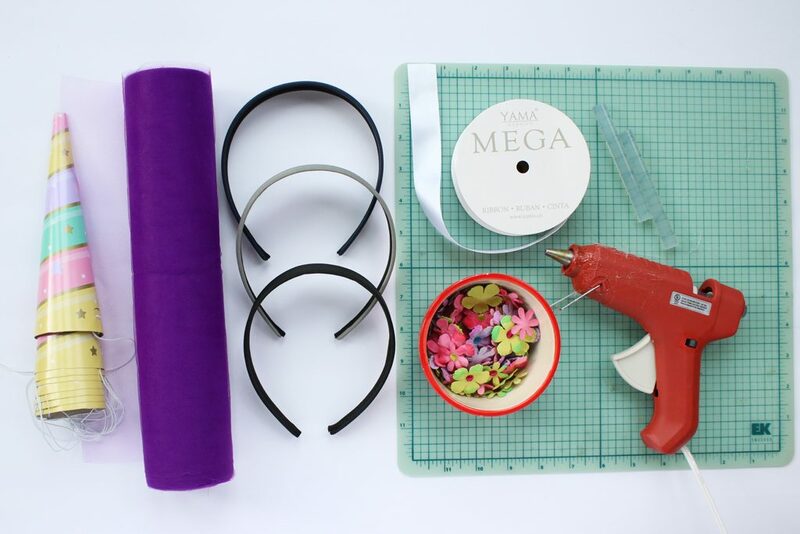 Once complete these DIY headbands will make the perfect accessory for your gaggle (waddle? Group? School?) of unicorns! 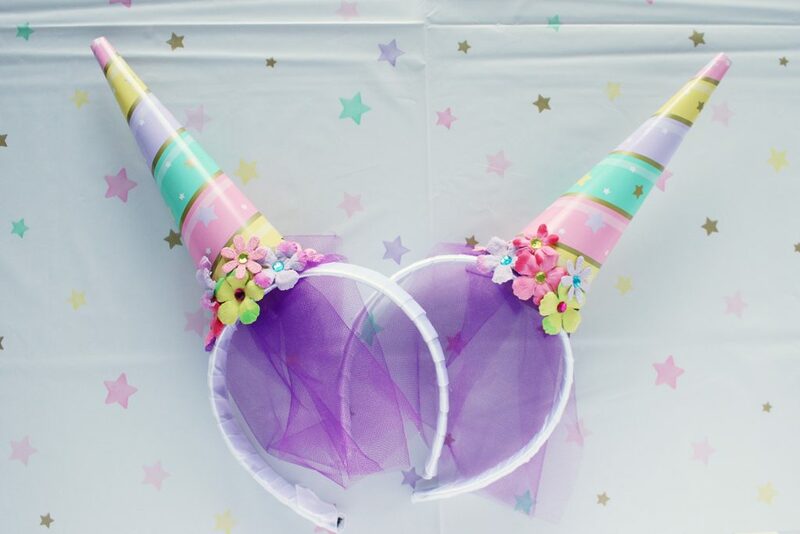 Have your wannabe unicorns rock their DIY unicorn headbands in front of your cloud 9 dessert table backdrop at the unicorn sparkle birthday party and watch the smiles appear!